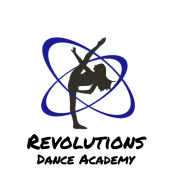 Welcome to Revolutions Dance Academy! Please provide your information below and click SUBMIT when complete. Credit cards are NOT charged at this time. All enrollments are considered pending until we have reviewed your registration and posted any fees due. Applicable coupons/discounts will be applied as well. Please ensure you read and agree to the RDA Policies & Procedures. 1. Registration forms must be completely filled out and signed for students to enter the classroom. 2. Students must meet dress code requirements to attend classes. 3. Absolutely no chewing gum, food, or drink in classrooms. 4. Class placement is determined by faculty according to student's age and ability. 5. Classes with five or less students may be subject to cancellation. 6. Faculty should be notified of any personal illness, injury, or disability before class. 7. Viewing windows will be open at faculty discretion. 8. Do NOT leave young children "unattended" as they are your responsibility. Remember we are a dance studio, NOT a babysitting service. 9. Anyone causing damage to Revolutions property will be held responsible. 10. Students waiting for rides must remain inside the building. 11. Revolutions will not be responsible for any lost or stolen items. Please mark all belongings. 12. I fully understand that Revolutions has video/audio camera surveillance throughout its facility and that at any time, me, my child/children, guests, may be recorded. 13. TUITION - Tuition is split into 9.5 monthly payments that include studio and auditorium rehearsals for the end of year recital. NO SIBLING DISCOUNT IS OFFERED AS TUITION IS ALREADY DISCOUNTED. •	Tuition is due AND automatically withdrawn the 1st business day of each month from either a checking account or a credit card (Visa/MC or Discoverer, no Amex). •	Registration fee of $20.00 per student or $30 per family is due at time of registration. •	ALL monthly tuition will be paid via automatic deduction from the account provided on the RDA Easy Pay electronic payment form that is signed (refer to that form for guidelines). •	A $5.00 per month administrative fee will be added to monthly tuition for families opting-out of having tuition automatically deducted. This is a $5.00 per month charge. An opt-out form must be signed. •	Full month tuition is due the 1st business day of the month Sept 2018 through May 2019. •	½ month tuition for June is due Tuesday, May 29, 2019 (this covers recital rehearsals). •	Charges such as costumes, tights, will be due on specified due dates and may be paid via auto-deduct, check, credit card or cash. •	A $25.00 late fee will be charged if tuition is not received in-hand by the 5th calendar day of the month and may be applied to any other past due charges. •	A $25.00 fee will be charged for all NSF transactions (electronic or check). •	Tuition is nonrefundable. Please ensure your child attends the classes you are paying for. •	DROPPING CLASSES - An ADD/DROP form must be completed and "turned in" by the 25th day of the month OR you will be charged tuition for the class on the first of the following month, or until a form is completed, which is nonrefundable. •	ADDING CLASSES - An ADD/DROP form must be completed and "turned in" by the date the dancer begins the new class. If the student begins a new class mid-month, prorated tuition will be offered if applicable. 14. SWITCHING CLASSES - An ADD/DROP form must be completed if a student changes from one class to another and "turned in" by the date the dancer switches classes. An increase/decrease in tuition may apply. •	Make-up classes are not offered unless class is cancelled by faculty. For students needing extra assistance/private help, times can be scheduled at each teacher's discretion. •	**If class is cancelled due to weather, the instructor will provide a comparable class on the RDA schedule, or make-up time if you desire to have your child make-up the missed class. •	**NOTIFICATION for cancelled classes will be done via email, text message, or online. •	Participating students will be attending three "3" rehearsals for the performance; one dress rehearsal and two closed rehearsals. •	Proper shoes for recital are required. Please check with faculty before purchasing. •	Costumes must be paid IN-FULL by November 15, 2018 and are non-refundable. 2. RDA's tuition policy requires automatic deduction on the 1st business day of each month. If questions about this policy, please call us at 440.717.1900. 3. Read Studio Policies above for further details. 1. Revolutions reserves the right to cancel any class with insufficient registration and a full refund will be given. 2. If a very young student is not ready to participate in class after several visits, a refund of tuition will be given. 3. Credit will not be given for missed classes due to illness, snow days, or personal commitments, etc. As the legal parent or guardian, I release and hold harmless Revolutions Dance Academy LLC, its owners and operators from any and all liability, claims, demands, and causes of action whatsoever, arising out of or related to any loss, damage, or injury, that may be sustained by the participant and/or the undersigned, while in or upon the premises or any premises under the control and supervision of Revolutions Dance Academy LLC, its owners and operators or in route to or from any of said premises. As the legal parent or guardian, I give permission to Revolutions Dance Academy LLC, its owners and operators to seek medical treatment for the participant in the event they are not able to reach a parent or guardian. I hereby declare any physical/mental problems, restrictions, or condition and/or declare the participant to be in good physical and mental health. As the legal parent or guardian, I hereby give permission for Revolutions Dance Academy LLC to publish in print, electronic, or video format the likeness image of me or my child, including class pictures and performance videos. I release claims against Revolutions Dance Academy LLC, its owners and operators, with respect to copyright ownership and publication including any claim for compensation related to the use of materials. As the legal parent or guardian, I have read and understand all of the policies described during this online registration process. In addition, I have read and understand the studio and dress code policies and procedures as shown on the Revolutions Dance Academy LLC website. I hereby acknowledge it is the intent of Revolutions Dance Academy LLC, its owners and operators, to provide a safe dance environment for its enrolled students.